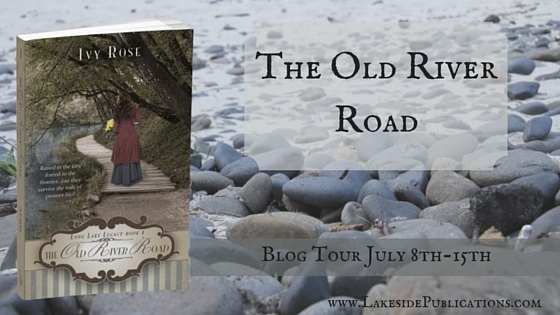 Meet Ivy Rose and her debut novel, The Old River Road. This book is the first in a series of a yet-to-be-determined number of books based on the lives of the author’s ancestors. Written in a style similar to that of Janette Oke and Laura Ingalls Wilder, this is a story you won’t want to miss. When seventeen-year-old Clara Boutwell married her dashing coworker, William McDonald, she was convinced her life was near perfect. The journey before them as newlyweds in the great city of Chicago was promising and exciting. But a frightening disease soon takes William in its grip, forcing them to the clean air of the western frontier in a desperate attempt to save his life. But pioneering doesn’t prove to be easy, with miles between neighbors instead of fences. On the eastern Washington prairies, the McDonalds face hardships and trials in a new world where everything is tested, from physical endurance to emotional strength—down to their relationship and faith in the Lord. This novel tells the incredible true story of Clara and William, the great-great grandparents of the author, in a sweet narrative full of laughter, tears, and the struggles of an early pioneering family. Prepare yourself to share in their experience as you read this account of a pioneer family in Washington state, and see their lasting legacy that has endured into the fifth generation. 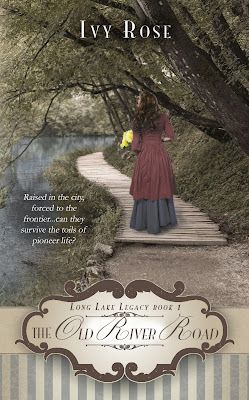 I found The Old River Road to be a very sweet and charmingly refreshing novel to read! From William and Clara's beautiful love story to their heartaches and triumph on the prairie I was reminded again and again of the incredible importance family, community and the strength of the Lord have in each of our lives. I enjoyed Ivy's gentle writing style and the honor she paid to William and Clara's commitment to each other and to the Lord. I am looking forward to following novels in the Long Lake Legacy series. 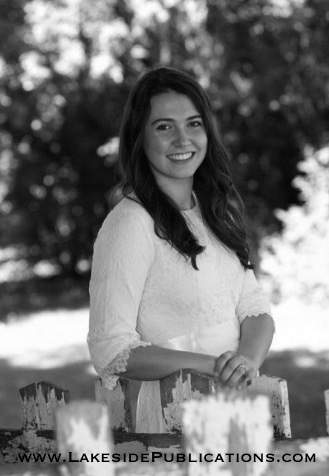 About the Author: Ivy Rose is an 18 year old history lover and literary enthusiast. Aside from writing, she enjoys being outdoors, chocolate, traveling, reading, and ATVing (preferably if there is mud involved). She resides with her family of 9 on the banks of the Long Lake in eastern Washington. You can connect with Ivy via her blog, Goodreads, and Pinterest. In preparing for the release of The Old River Road, I had the honor of interviewing Ivy and learning more about the process and message behind her novel! (Kenzi) I really enjoy reading authors who have taken an ancestor and written about his or her life! What was especially helpful to you as you researched William and Clara’s lives? (Ivy) The most helpful thing was talking to the real people who actually knew them and their children. They were able to give me little tidbits of stories that I was able to dissect and figure out personality traits from. (Kenzi) What is a special moment or memory you have from when you were writing The Old River Road? (Kenzi) What is the message you hope The Old River Road will convey to readers? (Ivy) The main message I hope to convey is that even in the most frustrating and difficult circumstances, God still reigns. William and Clara went through a lot of hard stuff in their life, yet the people who knew them said that they were always smiling. Their lives were such a testimony to those they knew personally. Though they departed from this earth long ago, I hope that through the book, I can carry on the legacy they left. (Kenzi) A fourteen year old girl comes up to you and says, “I think God is calling me to write for Him.” What advice would you give her? (Ivy) I’d tell her to not ever forget that it is Him she is writing for. She can do anything she wants to, with God at her side. Drop in on each of the following blogs for more reviews, interviews and more during release week for The Old River Road! Thank you so much for being a part of my tour, Kenzi!